Starting Online Travel Agency Business, Check Following. If you are aspiring to start an online travel agency of your own or to expand your present travel business, below are some important points. Travel business has changed a lot in recent times. The travel agencies no longer just informs the customer about the availability of the flights, their schedule, issue the ticket and get commission from the airline. Now with the online travel agency software, customers can book online. That’s why most of the travel startups are actually following the OTA model. With these online travel software, new doors leading to profit have been opened for travel agencies. You can turn to customized package tours, holiday packages, cruises, hotel packages, tours for your locale or some specific places, and so on. You can work on your own or for another agency. You can specialize in pilgrimages, leisure travel, business travel or any niche ones. You select your sector and then you can start your own travel agency with your niche offerings. Focusing on what best you can offer, is the key to success. Best hotels in a specific geography, top sightseeing and transfer tours. You can give them personalized service. This will make the customer take you as a reliable agency and they will feel more secure during their travel. Your customers should feel confident that you will arrange everything possible for them: hire a car, find their favorite cuisine, and so on. Start and get your travel website development done by a professional company. You can also get a top travel software integrated. Give maximum publicity to your new firm. Offer the deals, which are focusing to a specific geography. Focusing on niche will bring the accolades quickly. If you wish to know more as to how to start online travel agency, write us back. Top 10 things to do while developing online booking software for agency. How are Chatbots and AI impacting Online Travel & Tourism Business? 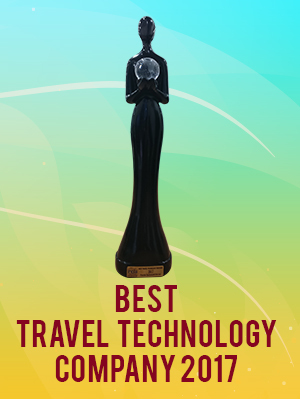 Travel Agencies in India / Asia are riding on OTA Model. Bookings through Internet Hitting Sky. What is Travel GDS, Global Distribution Systems? Integrate Online Booking Software on Travel Agency Website, Go OTA Model. Travel Agency System with Dynamic Packaging for Flights, Hotels, Cars and Activities. In Nigeria, Algeria and Africa(R), Bus Operators Are Deploying Bus Reservation System, Mobile Apps and Ticketing Kiosks. How to start a travel agency? What is the cost of travel portal development? What is a car rental software? Online car rental software is a web based car booking system, where in users can search the cars / taxis and cabs online, shortlist and book them after making the payment to receive instant…. copyright © 2019 Provab Technosoft Pvt. Ltd. - Providing Value to Business. All rights reserved.